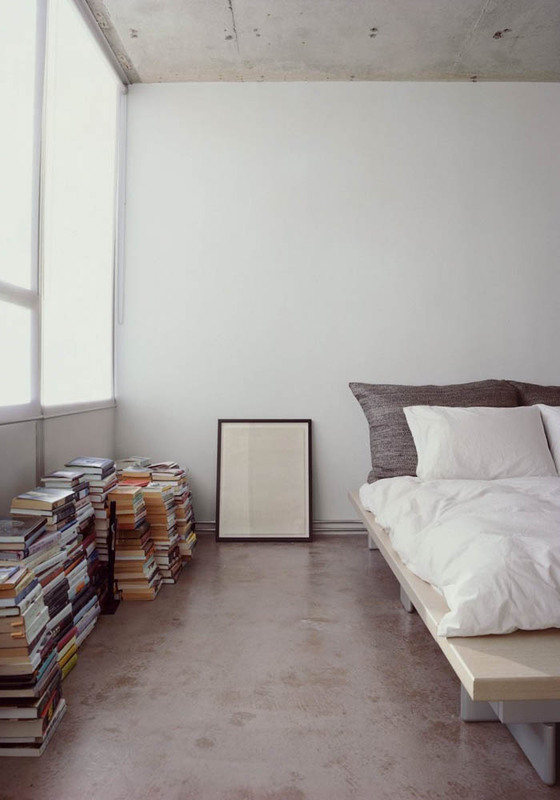 I’m loving this bedroom with a concrete floor. Be it in a bedroom, bathroom or kitchen (here too), concrete flooring is one of my favourite floorings. Each time I come across this bedroom picture on Pinterest, which was taken in the apartment of Designer Barbara Hill, I can’t help thinking how peaceful it feels and I imagine myself living in it. How about you? Where do you see yourself living in this bedroom? The bed is the Ligne Roset’s Peter Maly bed. Talking of which, if you’re looking for a vintage Togo sofa by Ligne Roset similar to the one featured in this fab, feel-good family home in Biarritz, check out Pamono in the UK. They have plenty of Togo sofas and armchairs in their collection. Nice space…like the simplicity of the way the bed has been dressed. Really, looks very pretty and cool.